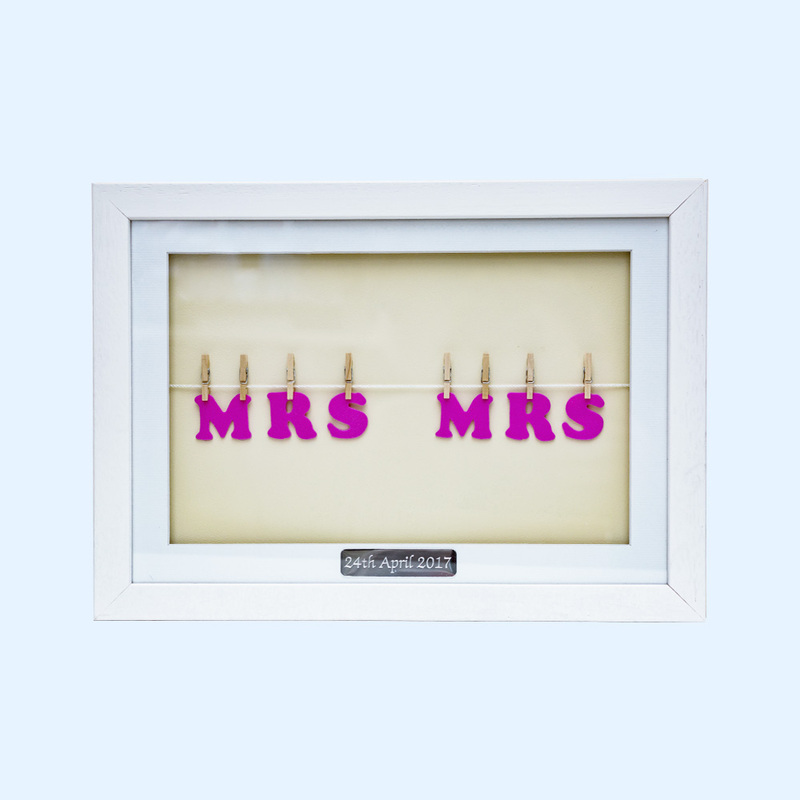 Create a personalised wedding gift for a special couple. 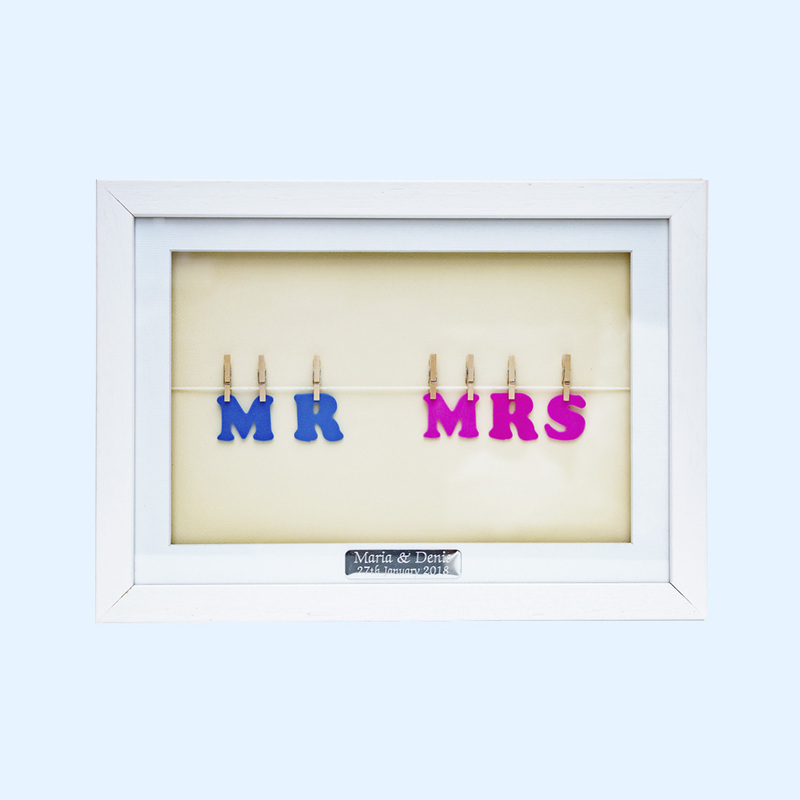 A handcrafted product containing Mr & Mrs, Mr & Mr or Mrs & Mrs mounted in a real wood frame, finished in matt white. 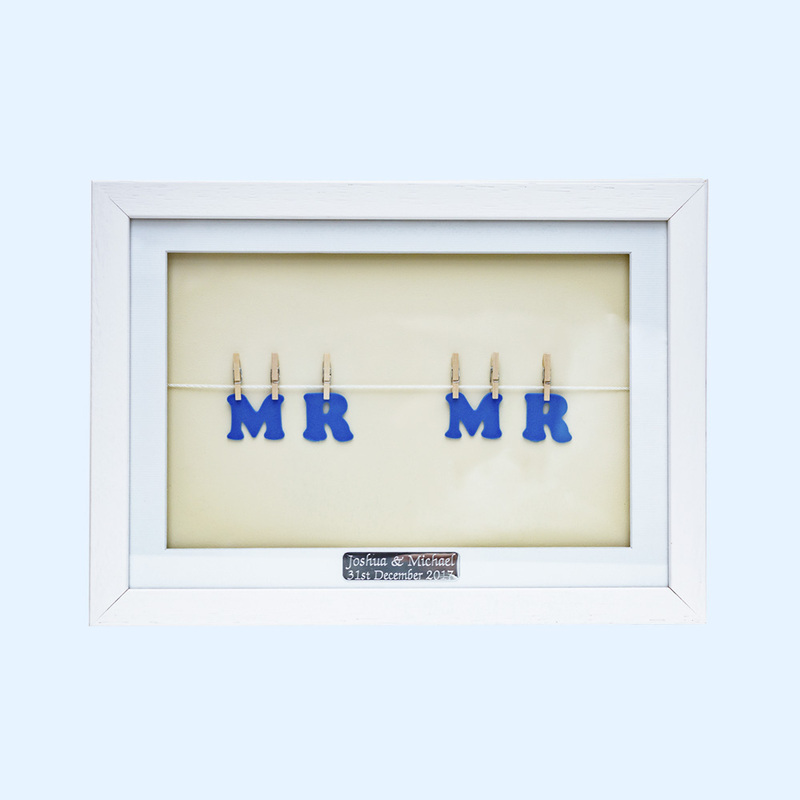 Each frame comes with an engraved chrome plaque which can contain the couple’s names, wedding dates, venue etc. or a personal message of your choice. Pictures are for illustrative purposes only, actual product may vary slightly.